A small pull on ankle support. A compression pull on ankle support. Open and adjustable. A pull on ankle support with longer ankle area and bandage for added support. Elastic support with verticalwise compression. Elbow support with protection pad for sports. Protects smoothly. Elbow support with a patella adhering to the Mafra fabric. 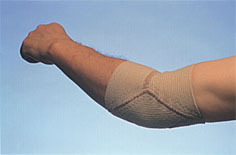 A tubular support without Velcro for non-clinical use. A firm support with Velcro hook adhering to the MAFRA fabric allowing for any degree of tension.Same as model 070 only with straps and frontal anatomical cut out. A very efficient fully adjustable immobilizing support. With anchoring on thorax support to avoid rotation. A compresssion bandage on forearm can be achieved insuring forearm fixation on thorax by a double Velcro hook. Soft and high, straight design with Velcro closure. Model 1316 has anatomical chin cut out and is moderately firm. Supports arm at wrist and elbow with fleeced padding at shoulder. 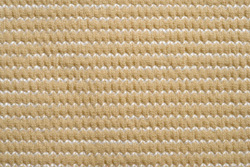 Standard Fabrics offer a smooth breathable surface. However Fleeced fabrics are even more healthy. On the inner surface we have minimized to the utmost dyes and other finishing agents.